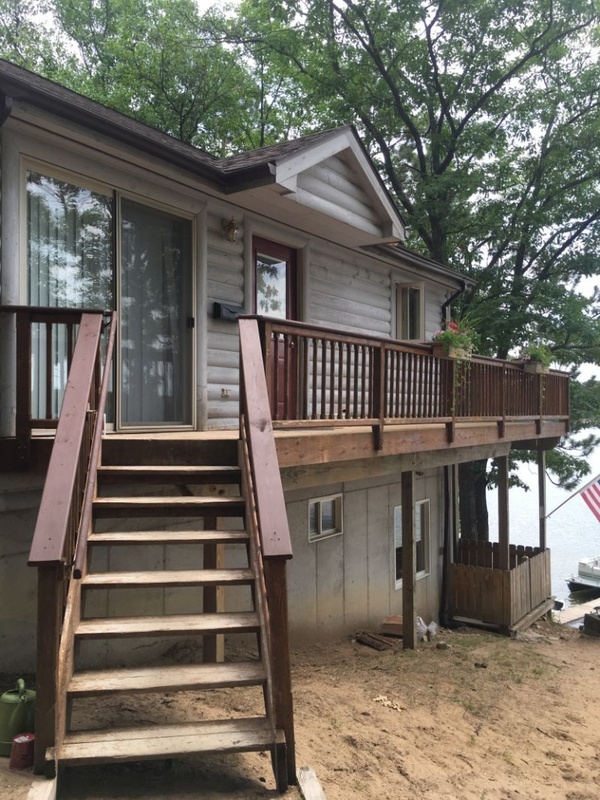 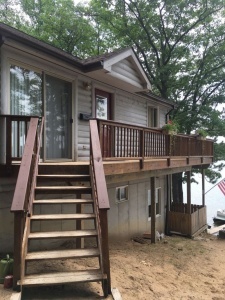 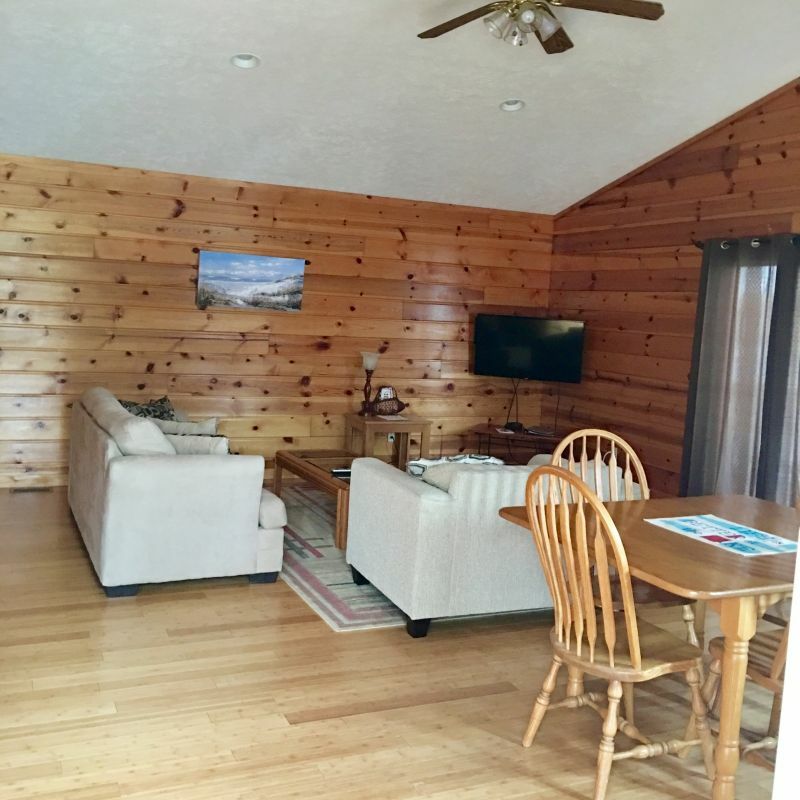 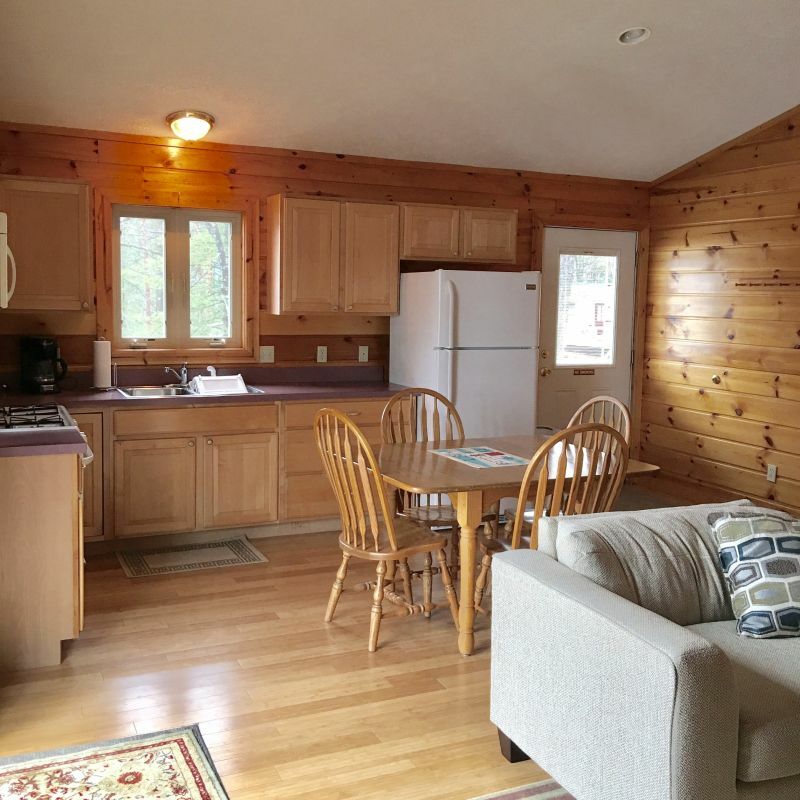 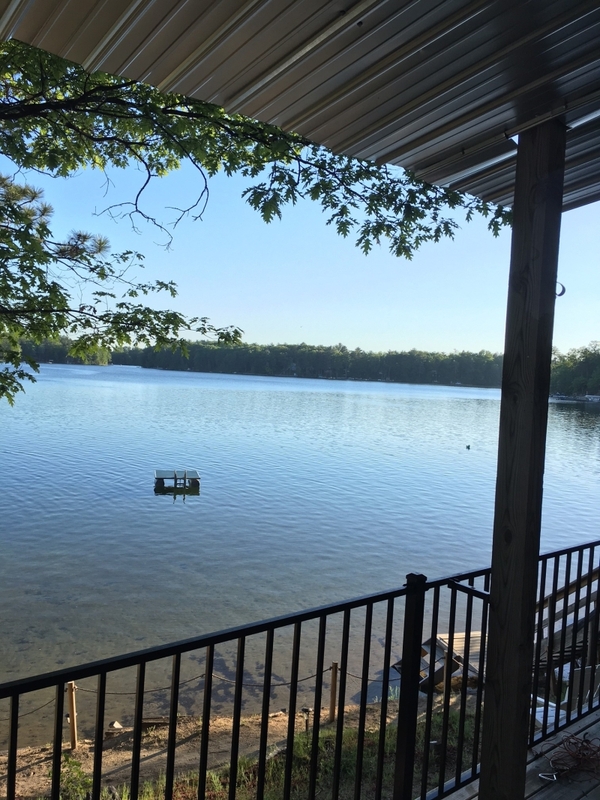 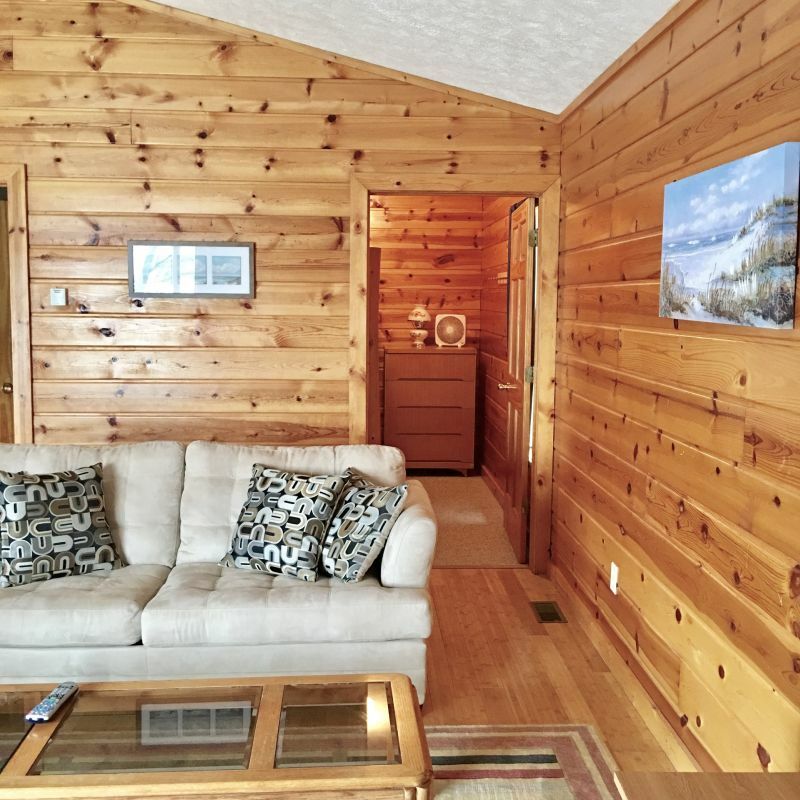 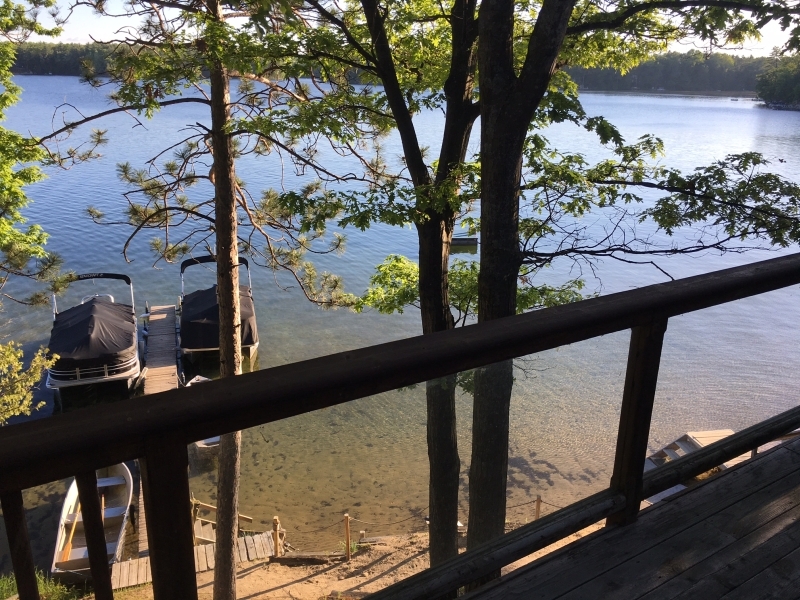 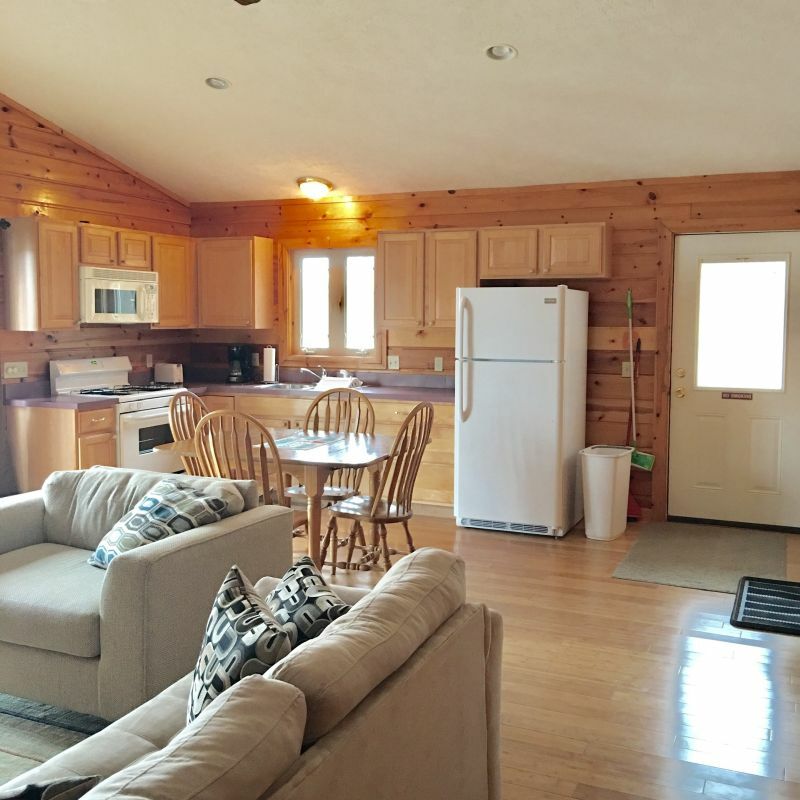 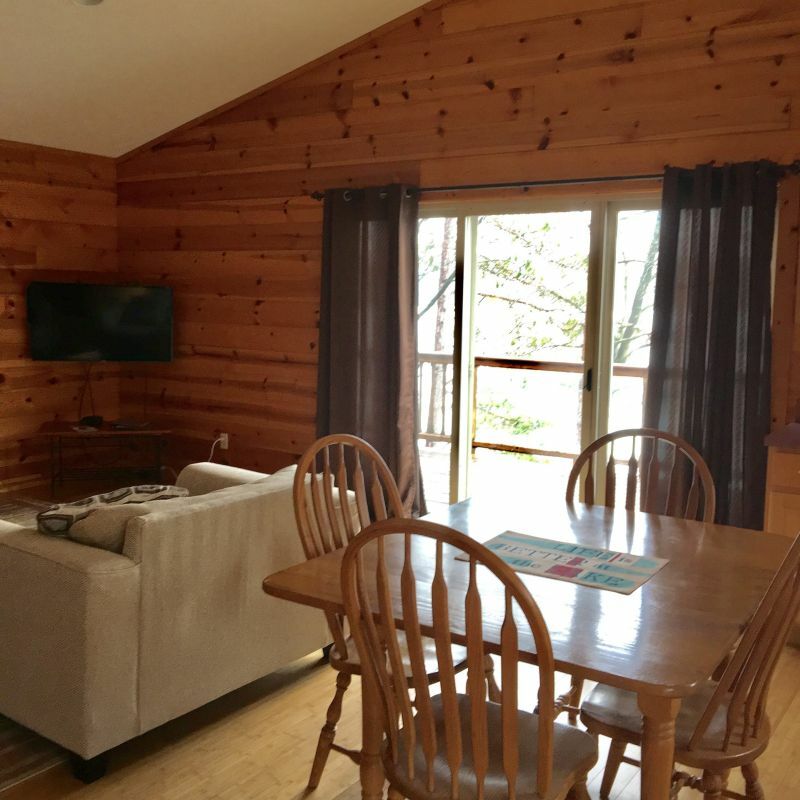 Built 2001 – Beautiful 2-story pine interior house offers the best views of Spider Lake. 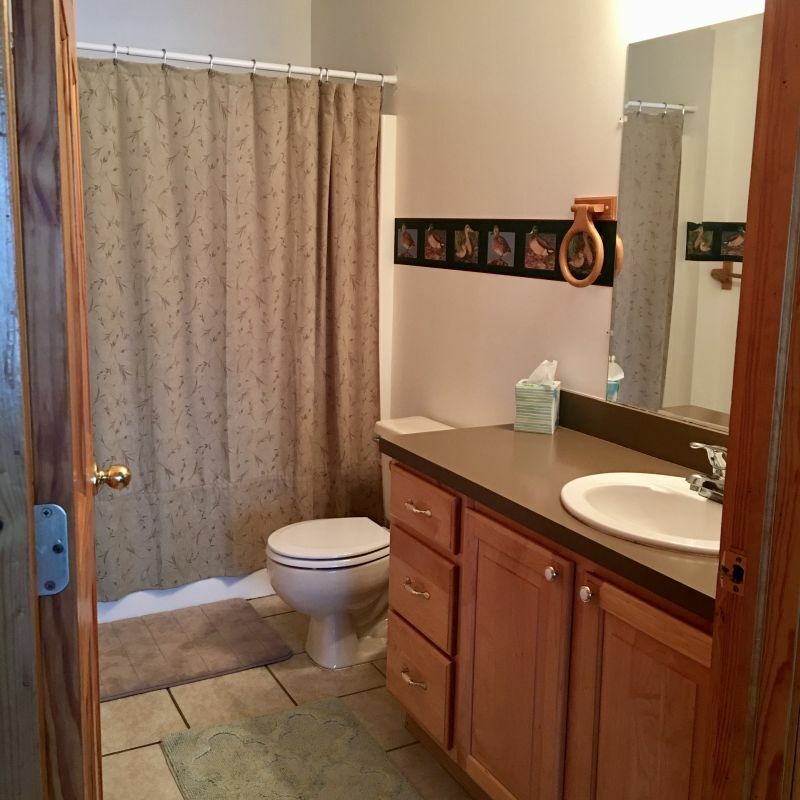 There house is divided into separate units; upper and lower units each with their own entrance. 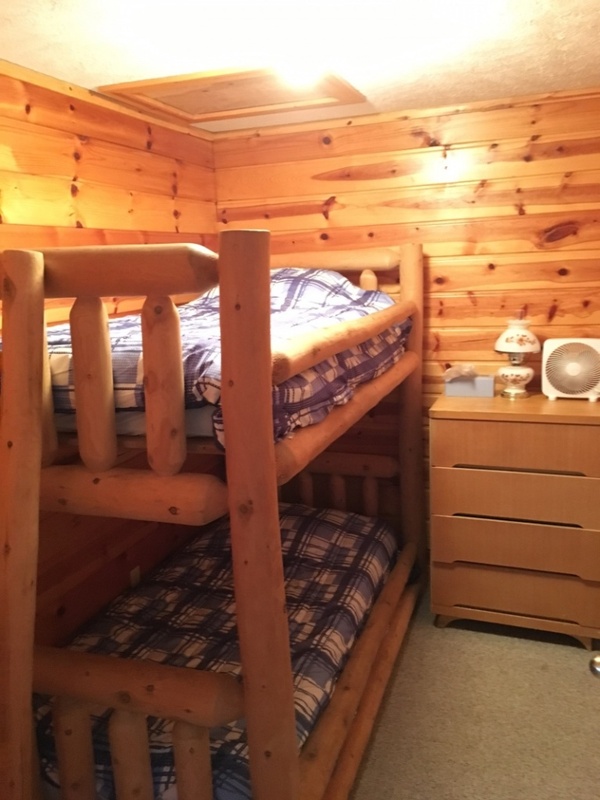 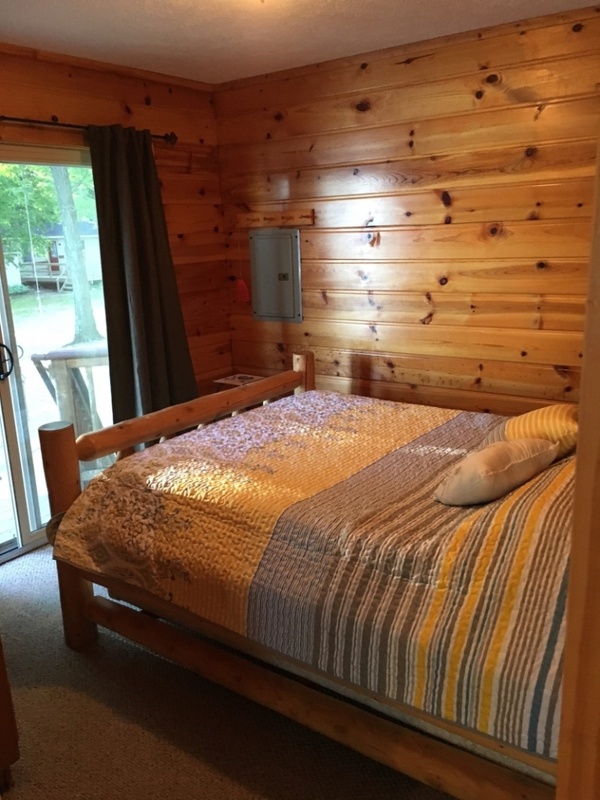 The upper unit has 2 bedrooms with a queen bed in the master, twin bunk beds in 2nd bedroom and a queen sofa bed and twin sofa bed in the living room. 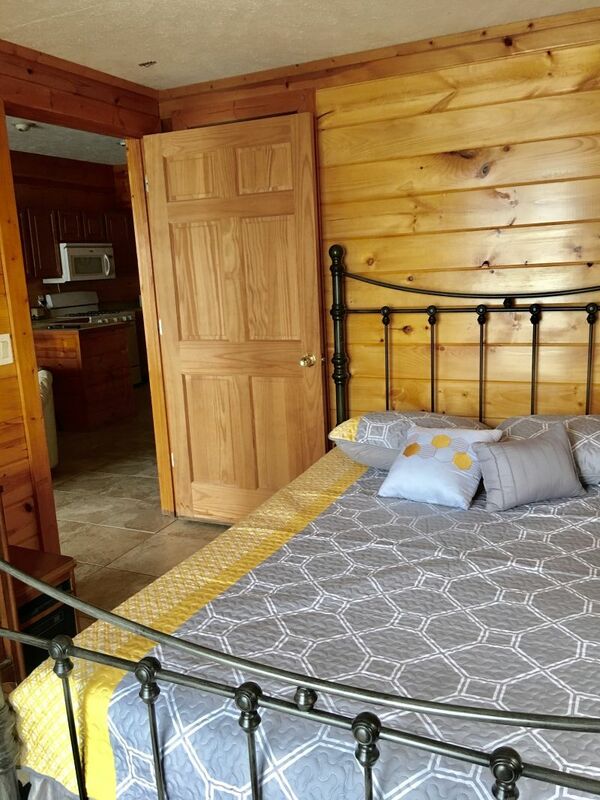 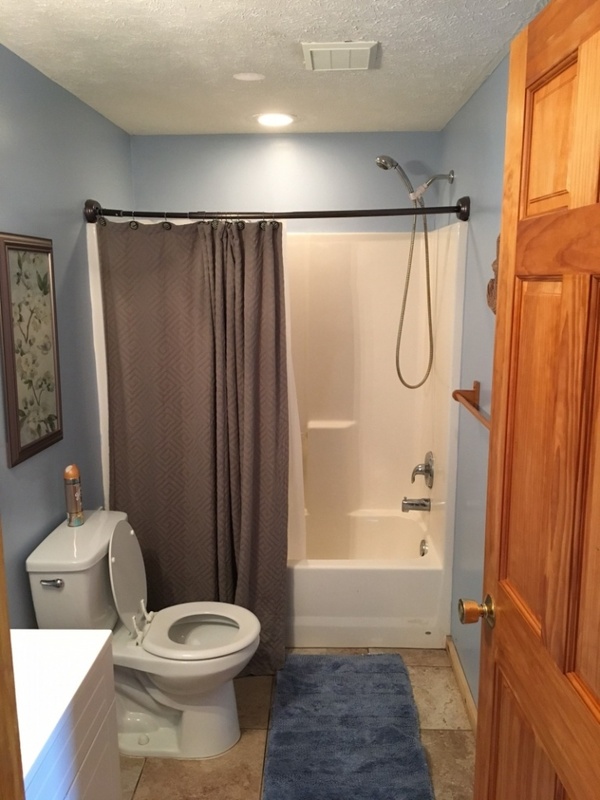 The lower unit has 1 bedroom with a queen bed, a queen sofa sleeper in the living area and a washer and dryer. 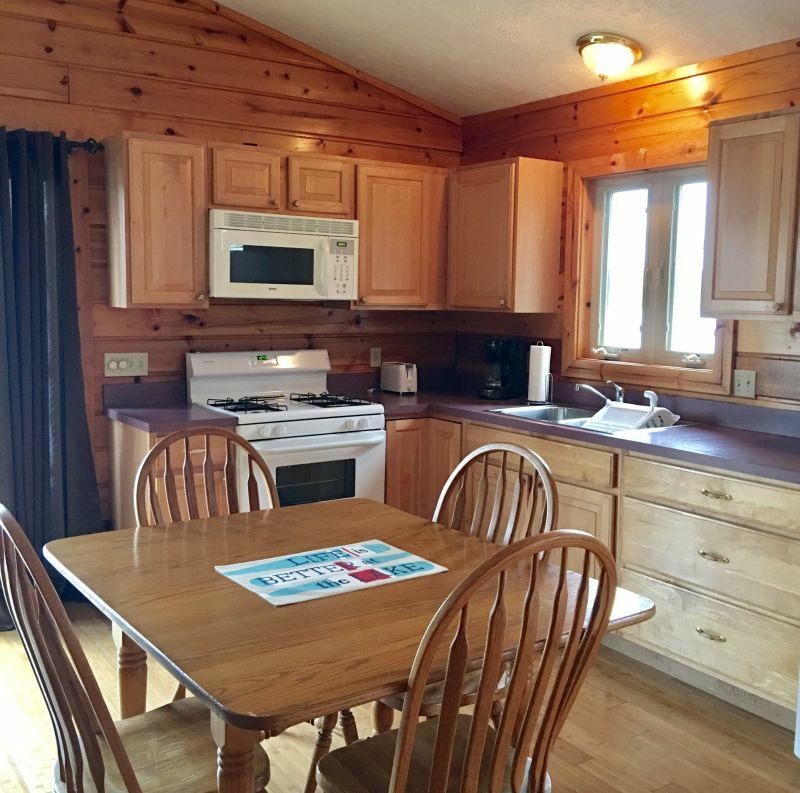 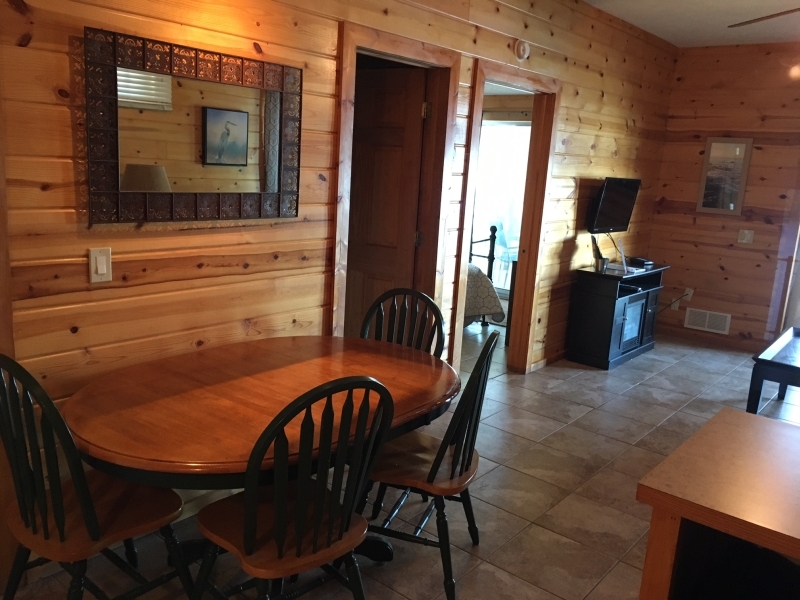 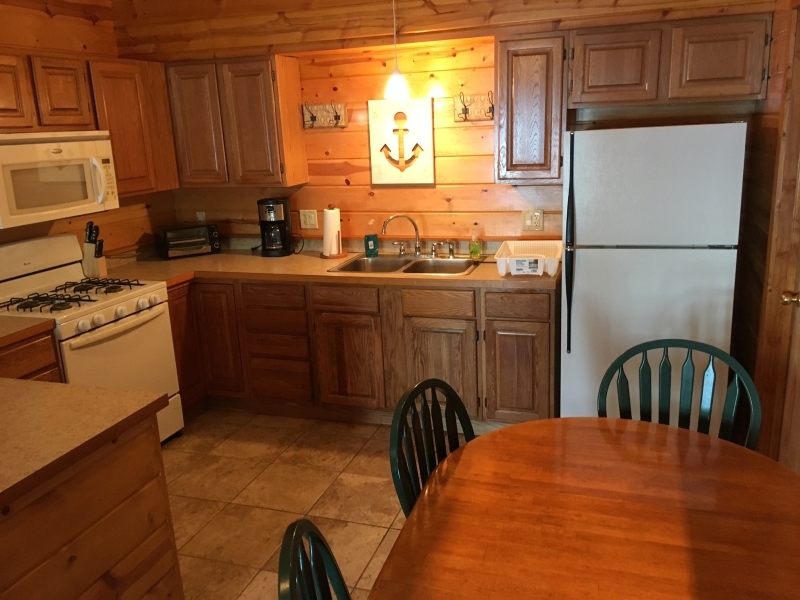 Both units have kitchens with expandable dining table with 4 chairs, gas stove, refrigerator, microwave, toaster, coffee pot and there is a charcoal grill outside of the unit. 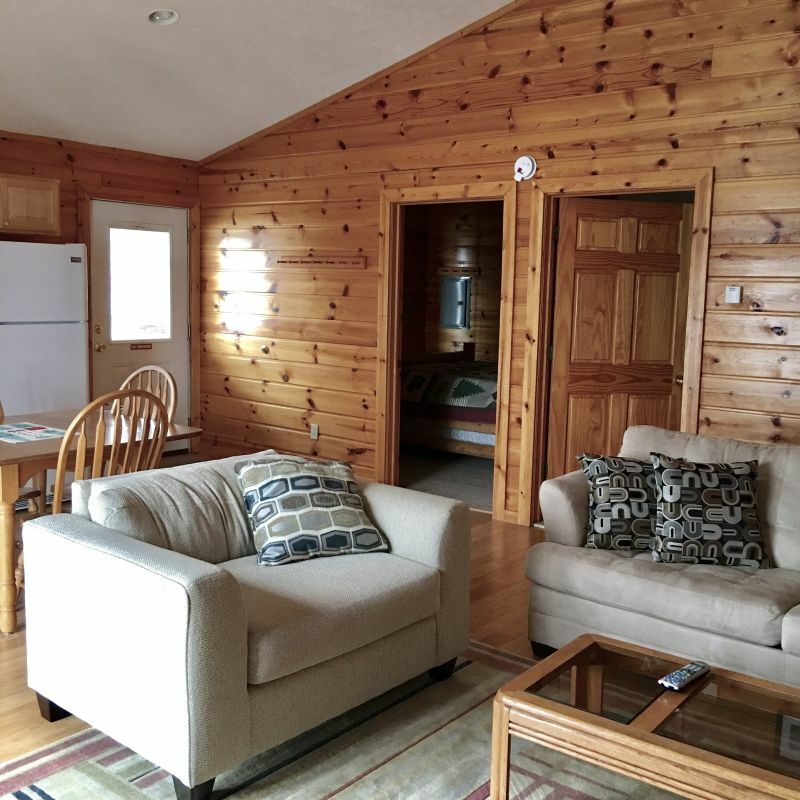 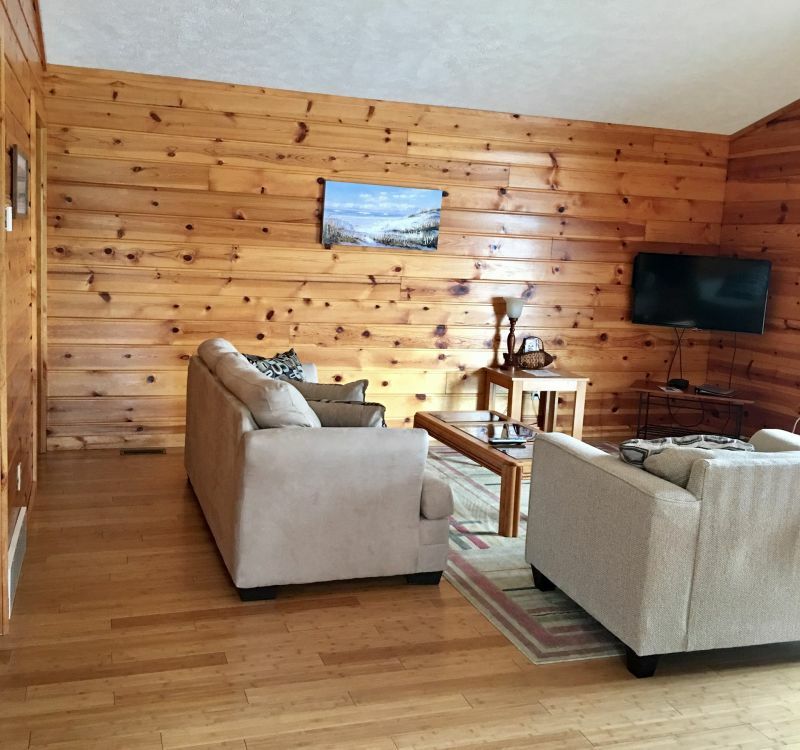 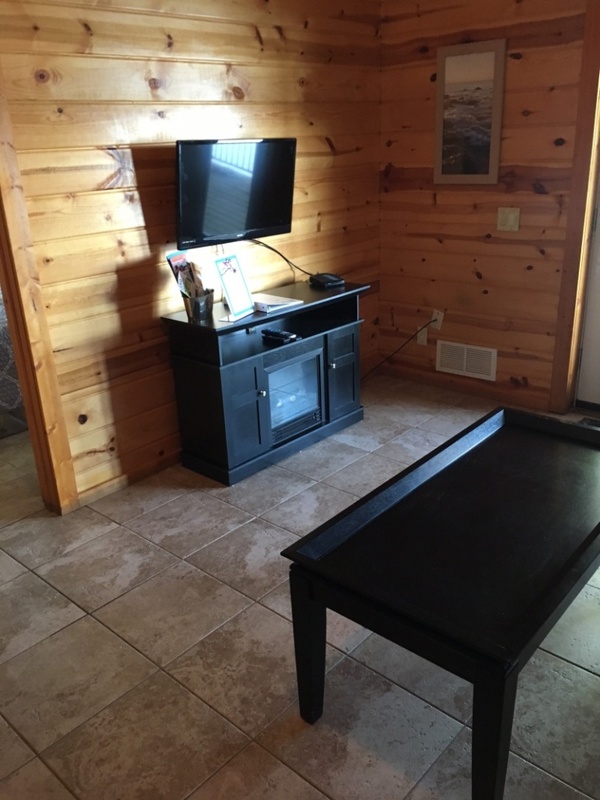 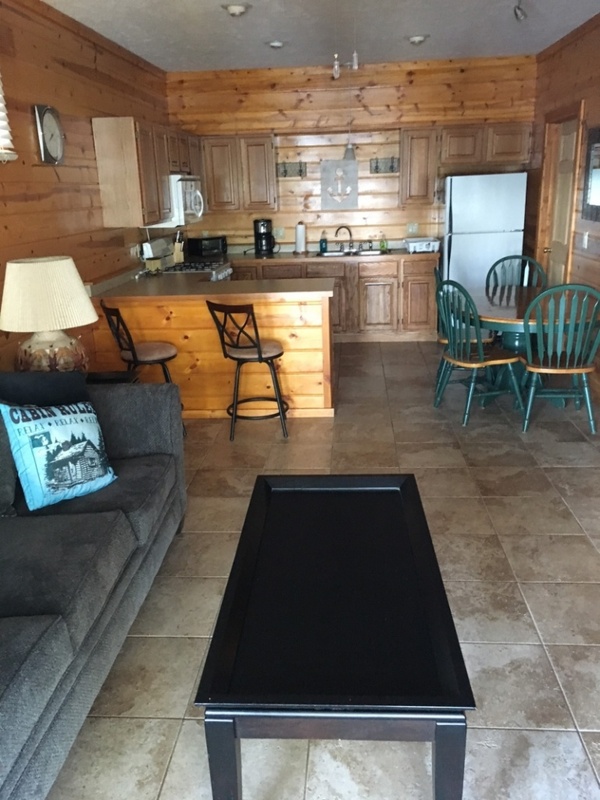 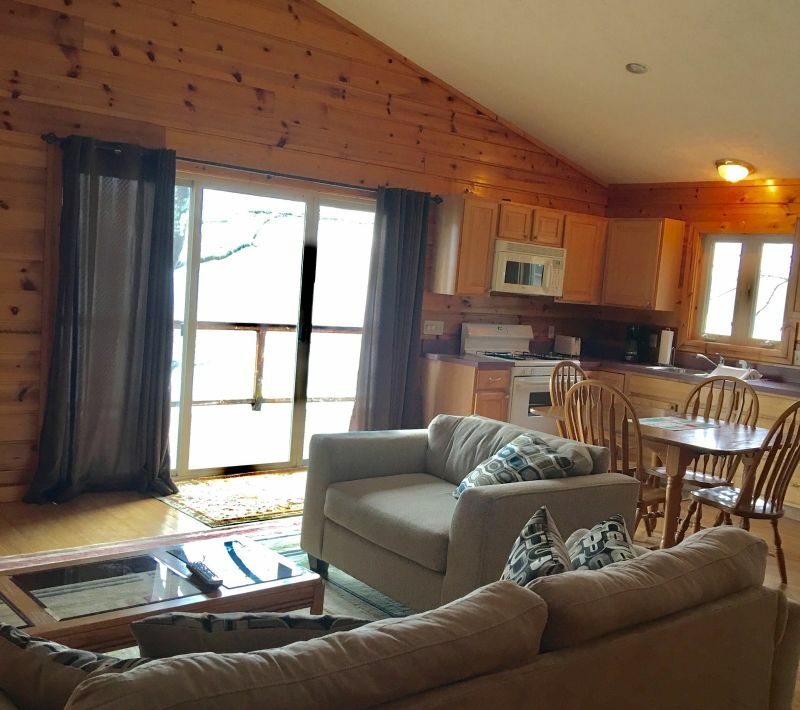 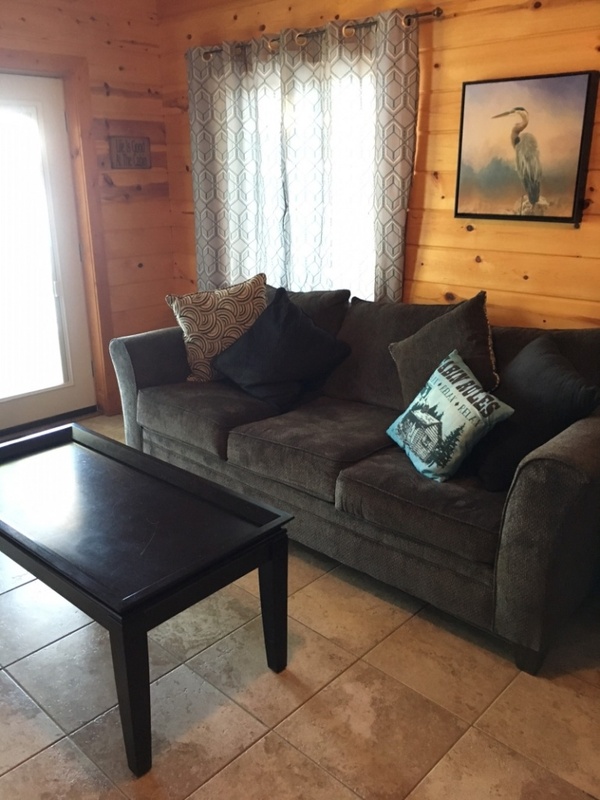 The rental includes AC, free WIFI, Direct TV -streaming, and 32″ Flat screen TV’s in each unit. 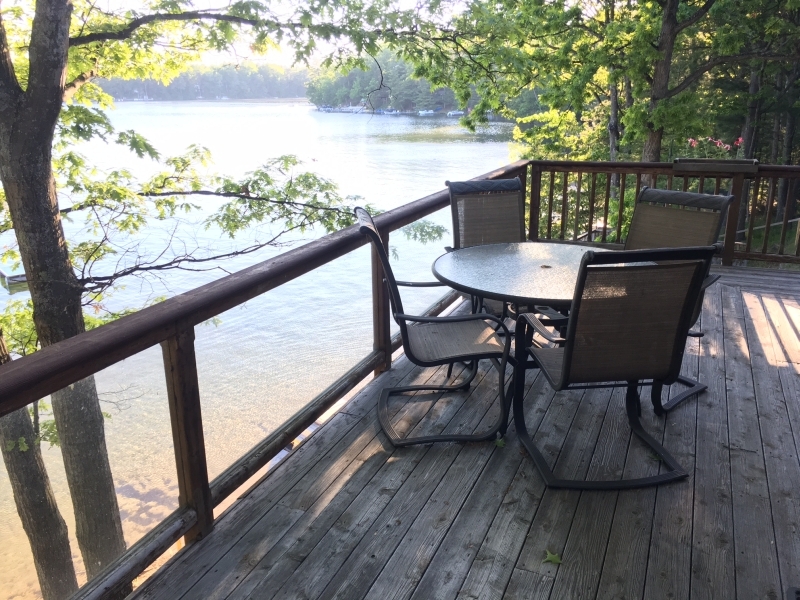 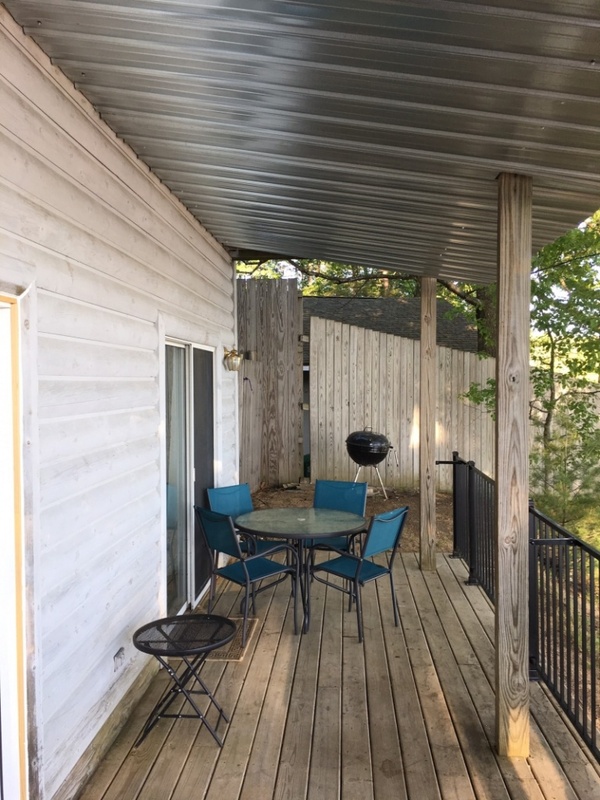 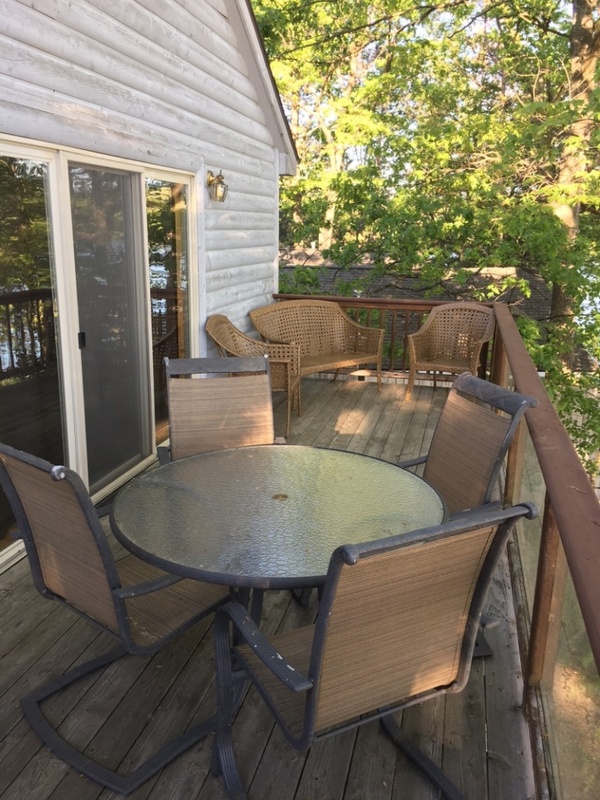 Each unit has a private deck with patio tables and seating for 4 on each. 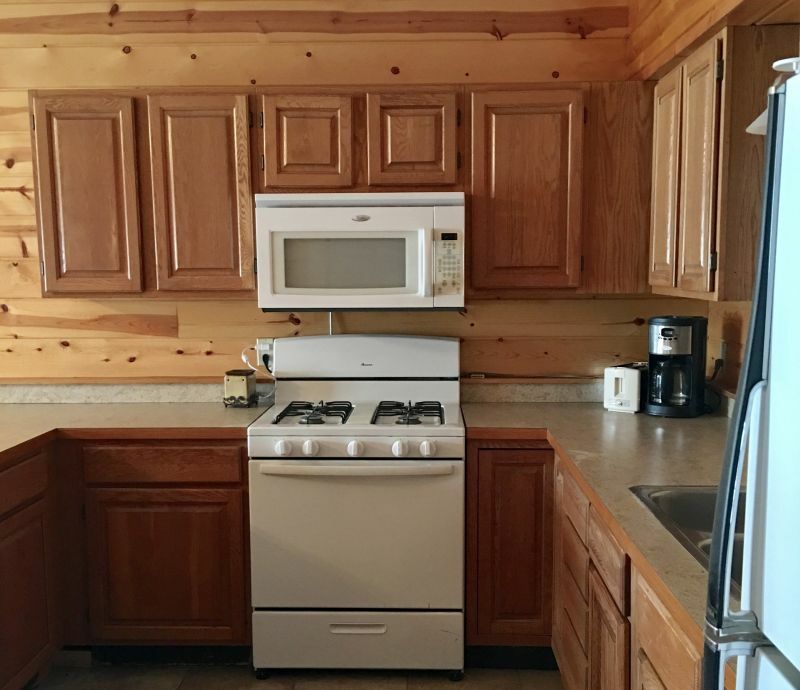 The units are equipped with cookware, dishes, utensils, common kitchen items, hand soap, dish soap, coffee filters, salt/pepper and bed linens w/ blankets. 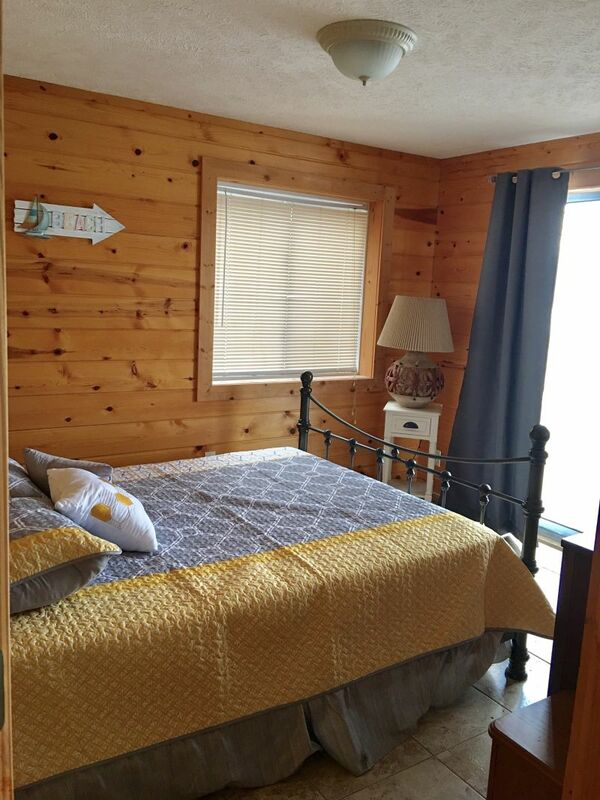 There are ceiling fans in each living room, portable fans in the bedrooms and has natural gas heat. 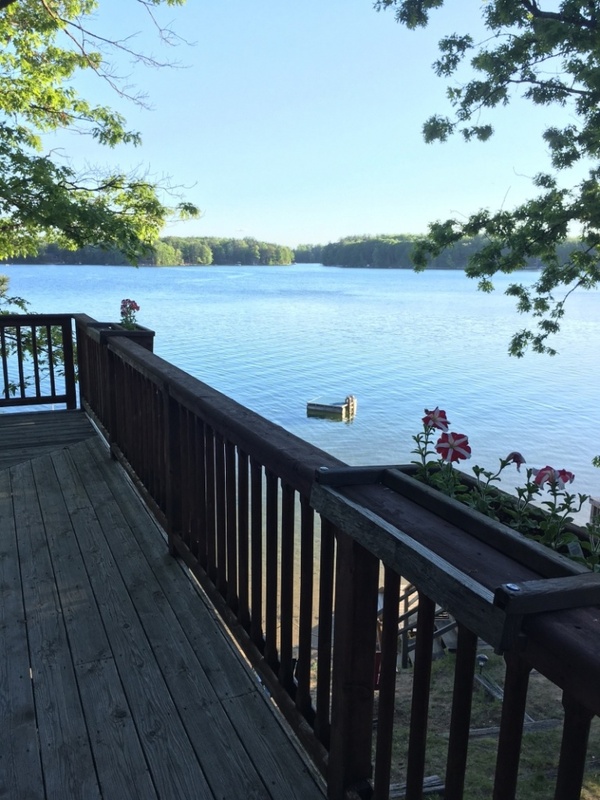 Enjoy this little slice of heaven and take in some fresh air!